The Tennessee Valley Authority Act was signed by President Franklin Delano Roosevelt on May 18, 1933. 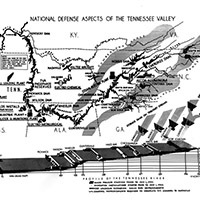 The mission of TVA was "to improve the navigability and to provide for the flood control of the Tennessee River; to provide for reforestation and the proper use of marginal lands in the Tennessee Valley; to provide for the agricultural and industrial development of said valley; to provide for the national defense by the creation of a corporation for the operation of Government properties at and near Muscle Shoals in the State of Alabama, and for other purposes." This ambitious charge would transform the entire Tennessee Valley by creating dams and reservoirs that would provide electricity and flood control, by controlling soil erosion which would lead to reforestation and better farming techniques, and by channeling the Tennessee River to improve navigation and commerce. 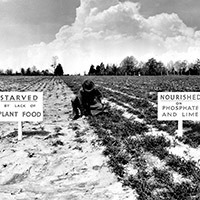 Virtually everyone in the region was affected by TVA: from the new opportunities for employment to the towns that were created around construction projects to the families and ancestral graves that were relocated to accommodate the construction projects. 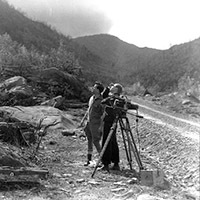 To accomplish their massive projects, TVA worked with other federal agencies such as the Civilian Conservation Corps, the Army Corps of Engineers, and the Soil Conservation Service. 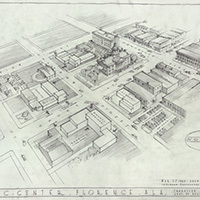 They also cooperated with universities, state government agencies, and private industries. 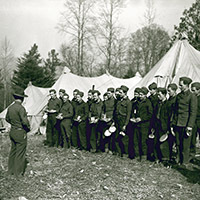 As World War II approached, TVA refocused their mission to contribute to the war effort. They worked with the War Department and the aluminum industry to provide munitions and aluminum for planes. 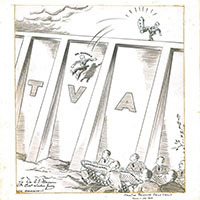 The Tennessee Valley Authority was often caught up in public and political controversy. 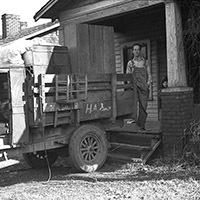 Their displacement of families, and sometimes entire towns, caused great hardship for some communities. Additionally, power struggles between the Chairman of the Board, Arthur E. Morgan and Board member David Lilienthal became fodder for newspapers and cartoonists. And the environmental impact of dam construction, particularly Tellico Dam, was often contested in court. 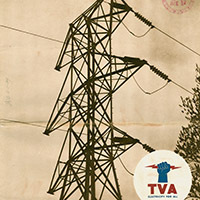 TVA's accomplishments, controversies, and progress are well documented through records, maps, drawings, and photographs. 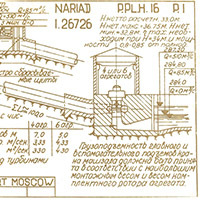 With over 14,000 cubic feet of TVA records held at the National Archives at Atlanta, we provide a small sampling with this exhibit.